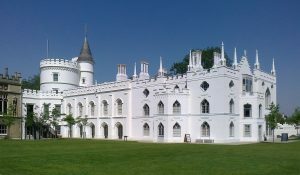 Stone Rowe Brewer are delighted to be part of the Dementia Festival (DemFest), which is being held at Strawberry Hill House this Friday (26 August) between 11am and 5pm. DemFest is the very first dementia festival to come to West London and is organised by local charity Pathways through Dementia in partnership with RemindMeCare who will provide free and discounted care software to everyone at the event. The festival will consist of informative and fun filled activities for the whole family. There will be live music from local bands like the Jetfighters, Shella Luscombe and Ray Lowe as well as food and drink stalls, craft stalls and an array of activities for kids like rides and free face-painting. There will also be a number of information stalls and talks from other expert speakers offering advice about dementia and related issues. So, whether you’ve a personal experience of the struggles of living with dementia, or just want to help out a worthy cause, make sure to get yourself down to Strawberry Hill House for a great festival that’ll help raise money for the fight against dementia. Tickets are £3 in advance or £5 on the door (children are free).